Federal and state environmental officials met in St. James Parish with representatives of Mosaic Fertilizer, LLC Wednesday to discuss efforts to prevent a potential environmental catastrophe in the heart of Cancer Alley: a collapse of a nearly 200-foot-tall wall of mineral waste and the subsequent release of acidic wastewater into nearby waterways and wetlands. A Mosaic representative at the company’s Uncle Sam fertilizer plant, north of Convent, told The Lens Wednesday that there are 700 million gallons of process water — used in fertilizer production at the plant — sitting atop a vast mound of phosphogypsum just east of the Mississippi River. Mosaic Fertilizer — a subsidiary of the Minnesota-based Mosaic Co. — is under a federal consent decree, having agreed in 2015 to pay $1.8 billion to clean up its production waste — specifically, its corrosive wastewaters stored at eight plants in Florida and Louisiana, including Uncle Sam — in order to settle a lawsuit by the federal government. Mosaic produces phosphate-based fertilizers for sale on the global market. It’s one of the world’s biggest makers of fertilizers, according to the U.S. Environmental Protection Agency. Now, the Louisiana Department of Environmental Quality, the EPA and even the U.S. Department of Justice are monitoring the company’s efforts to shore up the northern wall of its process water impoundment reservoir, a large above-ground retention pond. The Orleans Parish school district is facing a $430,000 shortfall at Edgar Harney elementary school after forcing its former charter operator to return the school to district control in the middle of the school year. This school year, the state government allocated about $333,000 in federal pass-through funds to Harney that have not been used, enough to significantly reduce the gap. But the district can’t touch that money, a state Department of Education official told The Lens. That’s because the money was earmarked for the now-defunct charter board — considered an independent school district — not the school itself. In most other places, full school districts don’t close, especially not in the middle of a school year. But in New Orleans, they can. “This is new territory for the whole country so there aren’t great models to replicate and the [federal Department of Education] is not especially open to or ready for our kind of system,” said Adam Hawf, a former state Department of Education and Orleans Parish schools administrator. This week on Behind The Lens, state and federal environmental officials are waiting to see if a fertilizer manufacturer can head off a potential catastrophe in St. James Parish. Last month, the Louisiana Department of Environmental Quality warned that part of a 200-foot-tall stack of gypsum waste at Mosaic Fertilizer’s Uncle Sam facility was in danger of collapsing. Behind that stack are millions of gallons of toxic wastewater. If it fails, it could endanger nearby wetlands. It could even flow into the Blind River and Lake Maurepas. Host and producer Tom Wright interviews David Jellerson, Mosaic’s senior director of gypsum engineering, about what the company is doing to prevent the wall from collapsing and what it’s planning if it does. In education news, the Orleans Parish school district took over Harney elementary school in Central City after repeated allegations of mismanagement by the school’s charter board. But the school district can’t federal funds designated for the charter school. Reporter Marta Jewson tells us why. And finally, Mayor LaToya Cantrell is in a fight with New Orleans tourism boosters about how tourism taxes should be allocated. Most hotel taxes generated in the city go to tourism infrastructure and marketing. Opinion columnist William Khan discusses the New Orleans City Council’s proposal to install cameras in bars and other clubs. “Louisiana has a broken death-penalty system. It’s arbitrary, vengeful and inordinately expensive in a state with dire fiscal needs. It embodies a sordid history of racism and is shamed by one of the highest rates of reversal and exoneration in the country. 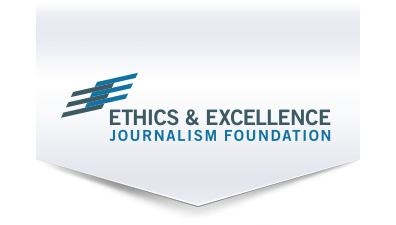 This week The Lens was awarded a $50,000 grant from the Ethics & Excellence in Journalism Foundation. We are grateful for their support over the past eight years and are honored to receive the grant which will support our award-winning investigative reporting.